National Apprenticeship Week is now in its eleventh year and will take place from 5th-9th March 2018. During this very special week, employers and apprentices from all over England will come together to promote apprenticeships as a great way to kick-start a fulfilling and successful career. The theme for this year’s National Apprenticeship Week is “Apprenticeships work”. The focus will be on showing how apprenticeships work – not only for the individual but for their employer and the wider economy. 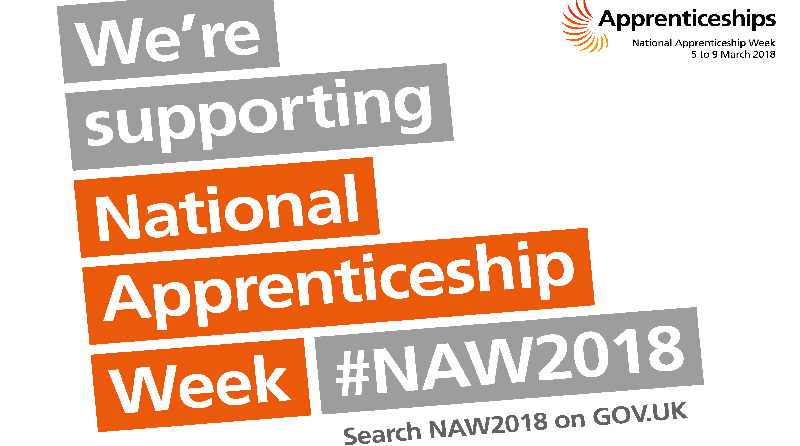 People are getting involved on social media using the hashtag #NAW2018. If you’re thinking of hiring an apprentice to fill a vacancy at your setting, we have a checklist of things you can do to find your ideal candidate. Make a list of all the requirements for the position, giving as much detail as possible. If you use a recruitment specialist such as Parenta, having this list will help them find a suitable candidate who matches your setting’s needs. If you’re using a recruiter, make sure you communicate well with them. If they send over a CV of a suitable candidate and you don’t respond for 3 weeks, chances are that candidate will have found a position in another setting. Ask potential candidates to research a topic before their interview. One example could be to find out what ‘safeguarding children’ means. This is a great way to find out which candidates are the most organised and passionate about the role. Provide recruiters with background to your nursery such as your ethos, what you specialise in or features which make you stand out. This will help any potential candidate get a feel for whether they’d enjoy working for you before the interview takes place. Check to see whether your apprentice is a good fit for your nursery by holding a trial day. This will help you verify whether they engage well with children and staff. Provide feedback to your recruiter about how the candidate got on during their interview. If unsuccessful, let them know why you didn’t feel they were suitable for the role. This will help them put forward a candidate who more closely matches your requirements next time. As many apprentices are also recent school leavers, they may not know how to behave in a workplace, so it’s important to discuss expectations with them in terms of dress code, punctuality and organisation. Set a probation period and make this clear to your apprentice. In the run-up to the probation, let your apprentice know how they’re getting on and give them regular feedback. You’ll normally know in the first few weeks whether they’re the right person for the role. Arrange an enrolment meeting between your apprentice and their training provider as soon as possible. This will help your apprentice understand the requirements of the course and how it will be structured. It may be helpful for you to be present during this meeting to sign any relevant paperwork, too. Remember to ask questions of your training provider if there’s anything you’re not sure about. With the new apprenticeship reforms and the 20% on-the-job training requirement, it can be hard to figure out what’s expected of you. Don’t be afraid to ask for clarification. Apprenticeships are the first rung on the ladder for many school leavers to be able to follow their ideal career path. And the benefits for businesses are numerous – with apprentices typically being very loyal to their employers and helping to boost productivity within the company they work for. So, why not start the search for a new apprentice today? Ready to do your bit for NAW 2018 and find your next apprentice? Contact our recruitment team on recruiter@parenta.com to find out more! Remember – funds in your DAS account will expire after 24 months unless you spend them on apprenticeship training. If you have gaps in your workforce which could be filled with an apprentice now, don’t wait!